Second game of The Astronauts studio responsible for Ethan Carter's Lost Adventure. This time it is the first person shooter in the dark fantasy atmosphere. 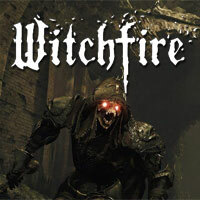 Witchfire for the PC platform is the second game of Polish studio The Astronauts, known for its adventure The Vanishing of Ethan Carter. The title is the first person shooter in the dark fantasy atmosphere. In the production we used the photogrammetry technique, which we saw in action, among others, in the previous position of this team. Thanks to it, the title can boast of high quality graphic design. Expectations: 9.4 / 10 calculated out of 139 players' votes.